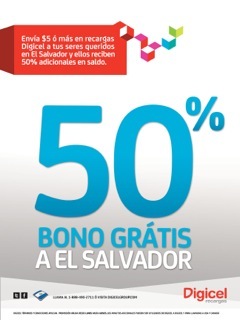 DIGICEL HAITI 50% Recharge Bonus Dec 10, 11, 12, 13 / Sim Cards available! Please review the details of an exciting promotion running for Digicel Haiti. • Transactions greater than $8.99 in value qualify to receive 50% bonus. 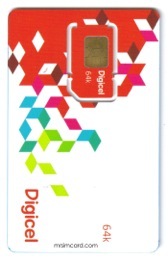 Digicel Sim cards are now available at mrsimcard.com. This sim works in Haiti with unlimited free incoming calls and unlimited free incoming text. Your Sim Card comes loaded with $5 in airtime. Service in Haiti is on Digicel Haiti. Get a Digicel Haiti Sim Card for use in Haiti before travel to Haiti. No contract, no credit check. Click here to purchase Digicel Haiti Sim Cards. Q&A – I’m going to the Dominican Republic for 6 weeks in the fall. A: We do not at this time offer a sim for the DR.
Hi, i am going to Jamaica in Dec and am looking for a SIM card that is compatible with Blackberry 8700 or Blackberry Curve 810. Your Digical Jamaica card looks good. if i understand correctly, if i call to a LAND Line or a cell phone in USA from Jamaica i will pay 24 cents per minute and incoming calls are free whether made from Jamaica or from the United States. Let me know if the above is correctr? Incoming calls and texts are free. Outgoing calls vary depending on the destination called. Purchase an International Calling bundle of 1250 minutes at $1.00JMD/01¢USD by adding 1250JMD/$25USD to your line and dialing *134#. Follow the prompts. You will then be allowed cheap calls to USA, Canada, China, Hong Kong, and UK landlines. Click here to add $30 to your line and buy the international package refill. The extra balance is on your line to use for local calls. Please make certain you tell us your Digicel Jamaica number so we can send funds direct to your line. If you have an unlocked Blackberry device can I use the MrSimcard.com – Digicel Jamaica Prepaid Blackberry 2 Weeks $15.00? Also, do I have to have an exiting Blackberry account to use this service? Finally, what are the charges for incoming calls, out going calls to Canada, and data charges for email? Yes you can. You buy the sim which comes with 5.00 airtime. You can add the blackberry package from www.mrsimcard.com/bb.html. The setup is done on the device.. Dial “*136# SEND” to initiate Prepaid Blackberry activation. THE BIGGER, BETTER NETWORK LAUNCHES FREE TALK! Last week it launched the FREE SMS 5 day pass. The FREE Talk promotion gives Digicel customers an opportunity to talk for free for 1200 hours a week or 7200 minutes a month with consecutive renewal. This promotion offers the best value for money. No other provider offers 7200 minutes of talk time for only $120 ECD per month. The Digicel FREE Talk plan gives prepaid customers FREE local Digicel to Digicel calls at a cost of EC$20 for 5 days, with four hours of free talk time daily. To activate FREE Talk, the customer simply dials * 134 # and the ‘send’ button to initiate the plan and then follow the prompts until a confirmation message is received. After the service period of 5 days has expired, the customer automatically goes back to the normal billing unless he/she re-activates their service. The launch of FREE talk is another opportunity for Digicel customers to enjoy more free talk -time from their favorite telecommunications provider in Anguilla. Digicel is committed to keeping customers in touch with friends and family with no hassle. As commented by Stephenie Brooks, Digicel’s Country Manager, “This new offer of FREE talk along with FREE text allows Digicel customers to stay in touch how and when they want to. This is only the beginning and customers can look forward to more exciting promotions tailored to offering them the best value for money over the coming months.” Customers who are not yet a part of the Digicel family, get 50% off selected Blackberry handsets, when they subscribe to Digicel’s prepaid BlackBerry service. Activate your FREE talk plan today! Check out WWW.MRSIMCARD.COM for Digicel Prepaid Sim Cards and refills. Use them in the USA or get a Global Roaming Sim Card.